Gender equality is important. As long as we haven’t figured that out, the problem will never be solved. Women empowerment. Peacekeeping and peace-building are fundamental areas where we can apply this principle. There’s been a push, but it’s not enough yet. Women must be made a part of the peace process. 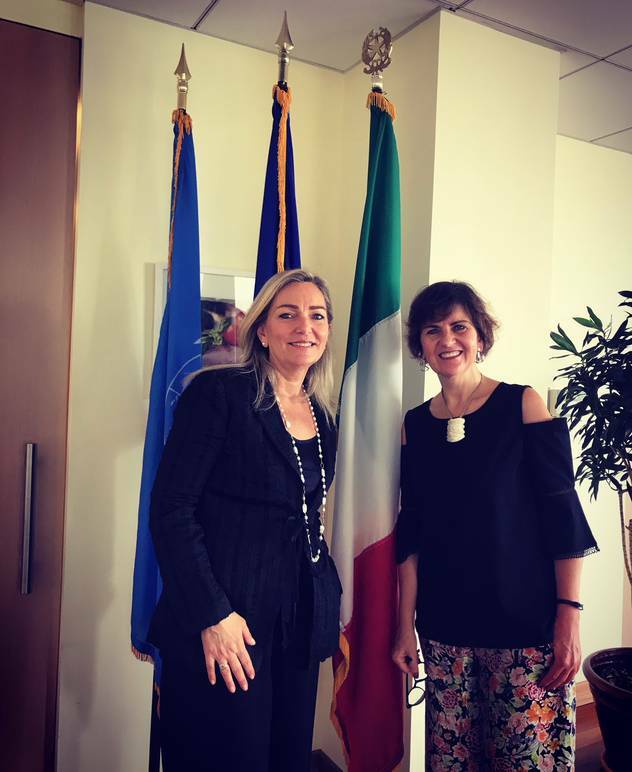 I recently sat down with Ambassador Mariangela Zappia, the new Permanent Representative of Italy to the United Nations in New York. 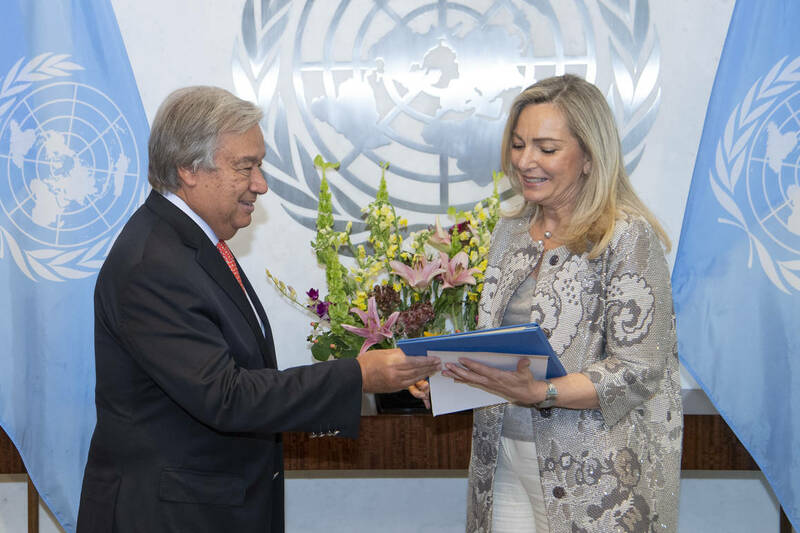 She very cordially welcomed me into her office on the 49th floor a few days after presenting her credentials to Secretary-General Antonio Guterres. It’s the third time she has undertaken a diplomatic post in New York. She served as Vice Consul at the Consulate General in New York from 1990-1993 and First Counsellor to the Permanent Mission of Italy to the United Nations in New York from 2000-2003. 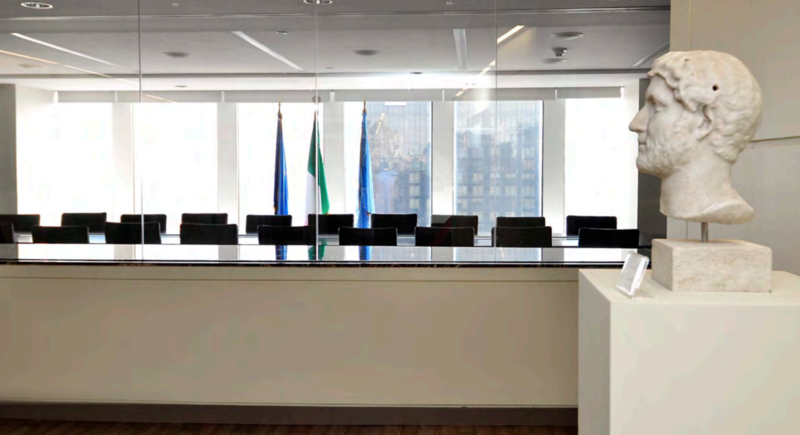 And this is the first time that a woman leads the Italian mission at the United Nations. “Multilateralism” would be the watchword of our conversation, and, over the course of speaking with her, I felt confirmed in my belief about how important and promising it is that it’s a woman who believes in it, talks about it, wants to put it into action. Multilateralism is an approach that nurtures dialogue and mutual understanding to achieve reasonable, long-lasting solutions—something deeply connected to the female experience. Ambassador Zappia, would you describe some of the main features of our recent diplomatic efforts in the world? We’ve introduced various changes concerning issues that we’ve shone a light on, issues that make a difference. We’ve made a very special name for ourselves in the world. We are the ones who advanced the idea of protecting cultural and environmental patrimonies during peacekeeping operations. Indeed, it’s important to minimize our impact on the environment on UN missions on the ground. That issue sets us apart and is linked to other qualities for which we’re known in the world, like creativity, intuition, an awareness of how issues are interlinked and should be tackled, including in the context of a peacekeeping operation. Sure. We’re a big country with a distinct identity, even if we’re not a superpower. We’re relevant and have a voice, and that’s reflected in thousands of ways. We’re among the major contributors to maintaining the balance of the UN and peacekeeping operations, and, among Western countries, the first source of troops during peacekeeping operations. But we’re also known for the way in which we go about keeping the peace. 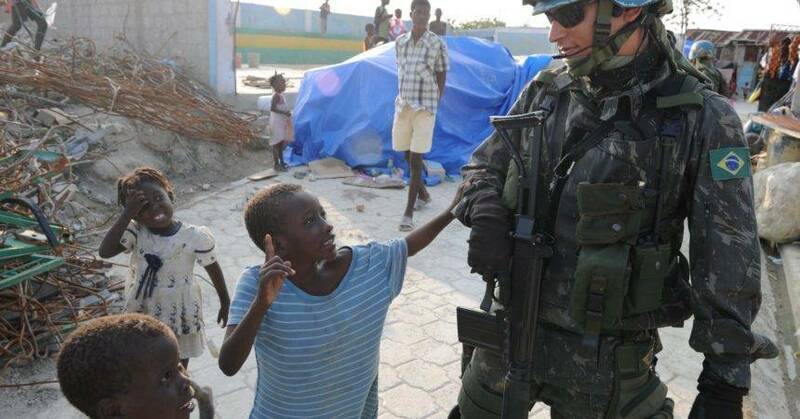 We’re beloved by people; an Italian peacekeeper is recognized and isn’t scared to be among people. That’s how Italy is seen in the world? We strongly believe in multilateralism. It comes from our Constitution. We’re attentive to individuals, and this is a key feature of our multilateral foreign policy. We’ve led the way in campaigns for human rights, against the death penalty, against female genital mutilation, and in combatting violence against women—all issues that distinguish us. We also need to remember that there are many UN bodies in Italy. 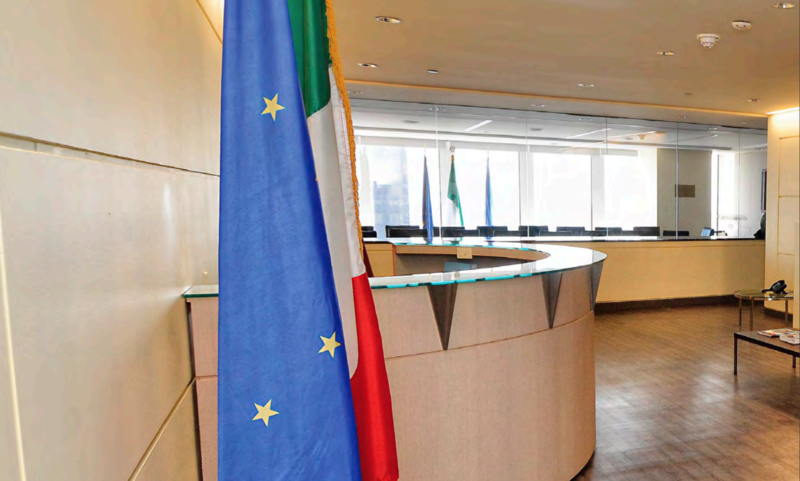 We have the agri-food hub in Rome, which is comprised of three agencies (FAO, IFAD, WFP). We have the UNICEF Children’s Center in Florence. In Turin, the UN is represented by the International Training Center of the ILO, the International Labor Organization, the Staff College of the UN (UNSSC) and the United Nations Interregional Crime and Justice Research Institute (UNICRI). And in Brindisi we have an important hub for peace operations. Italy is indeed a very stimulating place for a young person who wants to enter an international career. You were born in Viadana, a small city in the province of Mantua, Lombardy, but as the child of a military officer, you crisscrossed Italy, from North to South. You earned a degree in political science from the University of Florence. When did you decide to get involved in diplomacy? There were very few women involved in diplomacy back then. I was the only one in my group! It’s a career that didn’t open up to women until late (in 1967) and has had a distinctly male stamp for a long time. There are still very few of us, despite some progress. In Italy, there are four of us who hold major ranking ambassadorships. For the first time we have a female Secretary-General, Elisabetta Belloni; a Diplomatic Advisor to the President of the Italian Republic, Emanuela d’Alessandro; and an Ambassador in Paris, Teresa Castaldo. But is a diplomatic career still difficult for a woman? First and foremost, it’s difficult from a personal standpoint. We live in a society that isn’t totally equal; it’s difficult to square family and career. But I have to say, women’s social progress has placed men in the same situation. There are many female colleagues with husbands who go with them abroad, and in that case it’s the men who have to follow their wives and find jobs. It was very hard. I was in New York. My husband had a big job opportunity. I wanted him to take it. But at the same time I realized that it would be very hard to do my job and raise a family without it affecting my children, Claire and Christian, who were then 11 and 7. It was hard to decide, but I remember when I sent the fax requesting leave. I immediately felt relieved. I had done the right thing. Of course, it wasn’t easy to return to work. Asking for family leave puts you off the radar. But you can do it. My administration was forward-thinking. This is the third time you’re working in New York. The first was as Vice Consul in 1990. I was young. It was my second post! I wasn’t supposed to go to New York. I was in Africa getting ready to go to Paris, which was my dream. But I met my husband and that changed my life. Despite being French, he couldn’t work in France. The solution was New York, where he found a position with UNICEF. 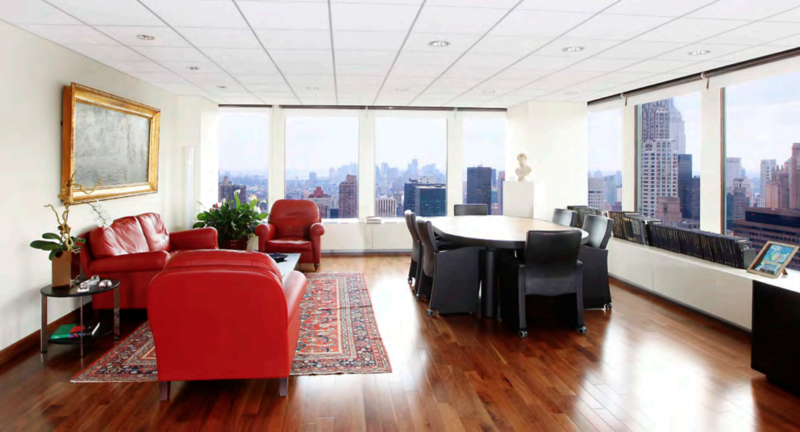 My experience at the Consulate General was wonderful. I was in charge of the Italian community. A delicate, extremely interesting job. And there you get the best of the economy and culture in the City. I still have many friends that I’m catching up with just now. You came back to New York in 2000, this time to work at the UN. So 18 years have passed, years that have borne witness to major international transformations that were almost unthinkable then. There was a global shift. The world became more complicated. Before, it was easier to understand who went where, who believed what. It was easier to know what someone was thinking. Now there are neither precedents nor certainties. These are very complicated, chaotic times. We’re constantly debating issues that you have to tackle. But that’s where my belief in multilateralism comes into play. There’s a rise in nationalism and “sovereignism,” and therefore multilateralism is fundamental for avoiding dangerous escalations. I think the UN is even more important now. Certain trends are better understood here than elsewhere. You can make predictions and respond accordingly. 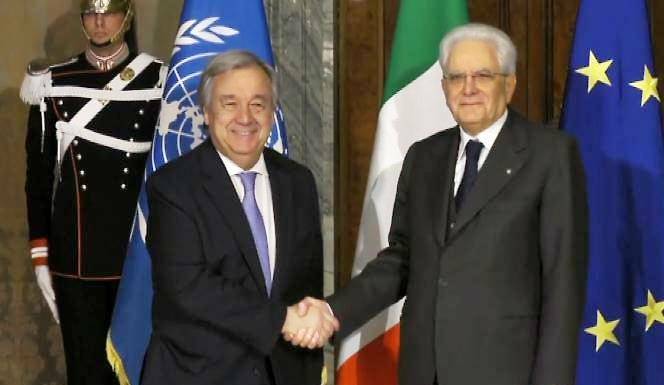 During your speech on the day you presented your credentials, you listed some priority issues for Italy: peace, security, and human rights, as well as sustainable development and migration. It would seem diplomacy has new aims. What does this new appointment mean for you as a woman? I only just arrived. I’ll have a better sense in a few months. But I think that a woman in diplomacy, as in life, brings with her greater sensitivity—she has more antennae. I also think women are results-oriented. We don’t have a lot of time to lose. We want to come out of a meeting with concrete results. That point is connected to your strong support for Secretary-General Guterres’s call for gender equality in every area of the UN. The current Secretary-General is making the difference. I intend to focus on this issue a lot too, reaching the famous quota of 50 percent women, which we were talking about 18 years ago but never achieved. 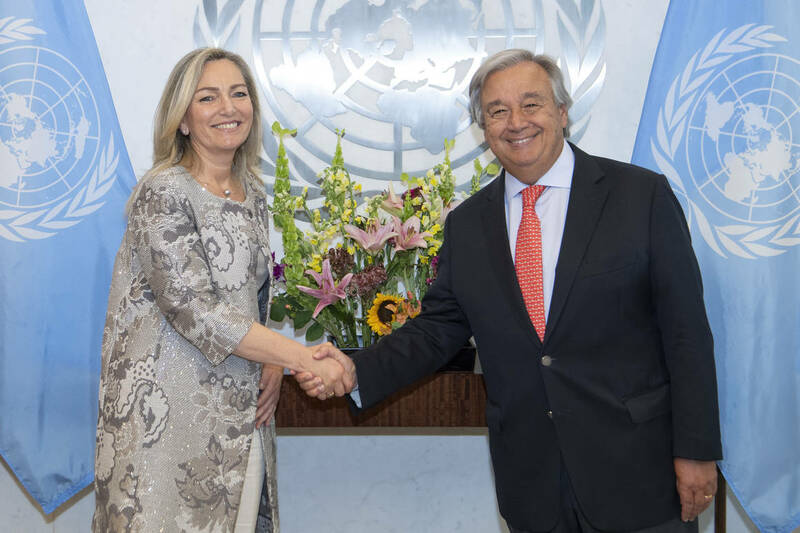 Guterres has shown it can be done, that we can systematically choose women, so that women don’t always have to be ‘the best’ to establish themselves while many men ‘just’ have to be good. Empowering women, giving women the ability to be part of the process. Peacekeeping and peace-building are fundamental areas where we can apply this principle. There’s been a push, but it’s not enough yet. Women must be made a part of the peace process. Firstly, because they are part of (half of) society; secondly, because of their role in the family; thirdly, because of their ability to think of the greater good. 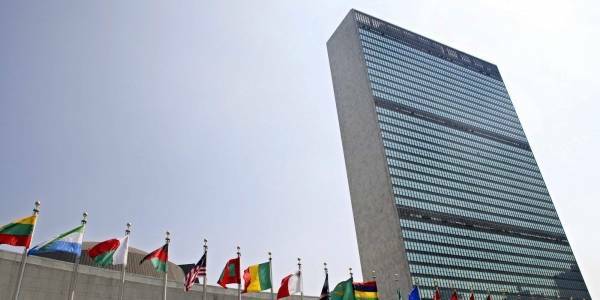 The United Nations is perceived as being a sealed-off fortress within the City. 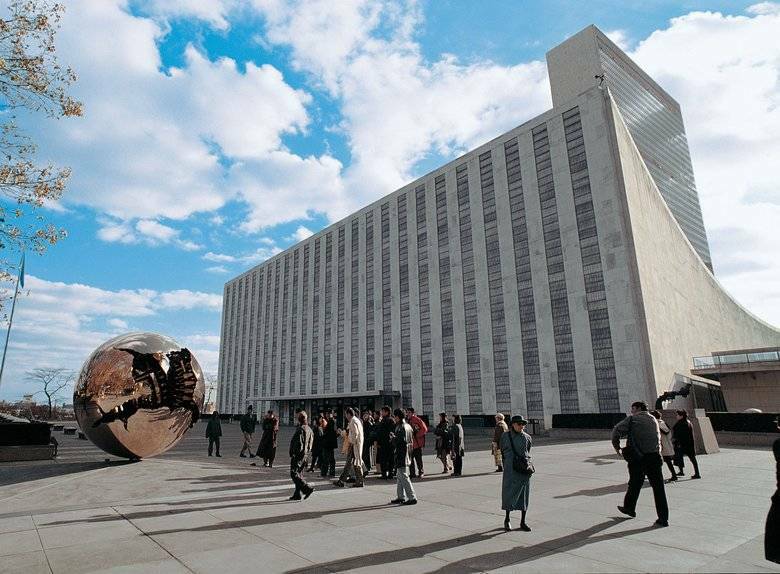 Do you think that New York and the UN could benefit from having a more symbiotic relationship? There have been important, comprehensive migration talks to define the Global Compact for Migration. I wonder how we can talk about this in New York, a city with a long history of immigrants. I’m thinking of possible initiatives about the issue aimed at the City. 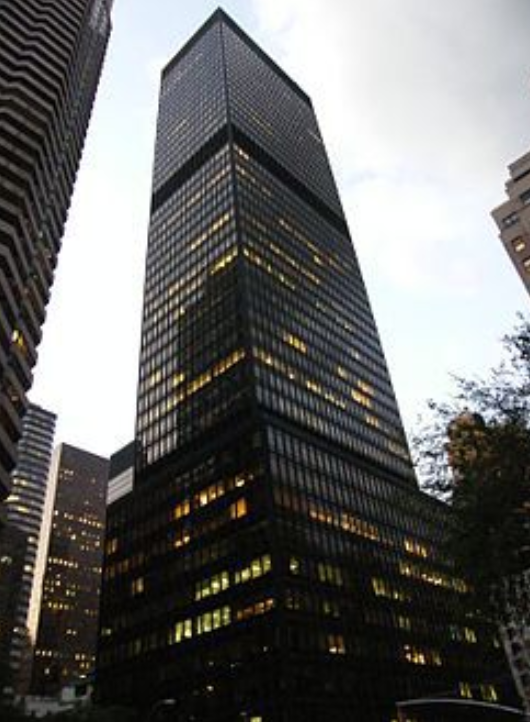 On a personal level, what is your connection to the City. What place do you like most?